Originating from the United Stated in 1941, M&M’s are now sold in as many as 100 countries! From plain milk chocolate to strawberried peanut butter, there are a lot of M&M flavours out there! It wasn’t until 1980 when the small colourful chocolates made their way on to shelves across Europe with only the plain and peanut varients. To this day, there are over 30 M&M flavours but only three available in the UK – plain, peanut and crisped rice. With the rise of American sweets in the UK and the possibilty of getting these flavours in your Taffy Mail box, these numbers are rising! Did you know, there are loads, and we mean loads of M&Ms flavours out there, waiting for you to try them? Well, good luck! You’d need to be a frequent flyer to try some of these following M&M flavours as their exclusively sold in other parts of the world. We thought we could bring the taste to you with this comprehensive gallery! Some of the M&Ms flavours below are limited edition flavours and were only produced for holidays such as Valentine’s, Easter and Christmas for example. Our personal favourites, here at Taffy Mail, are the mint flavoured M&M’s, candy corn flavoured M&M’s and the pretzel M&M’s. All of which are available in our Taffy Mail boxes! Update (15th August, 2015): A new M&Ms flavour has been added to the range, Pecan Pie! 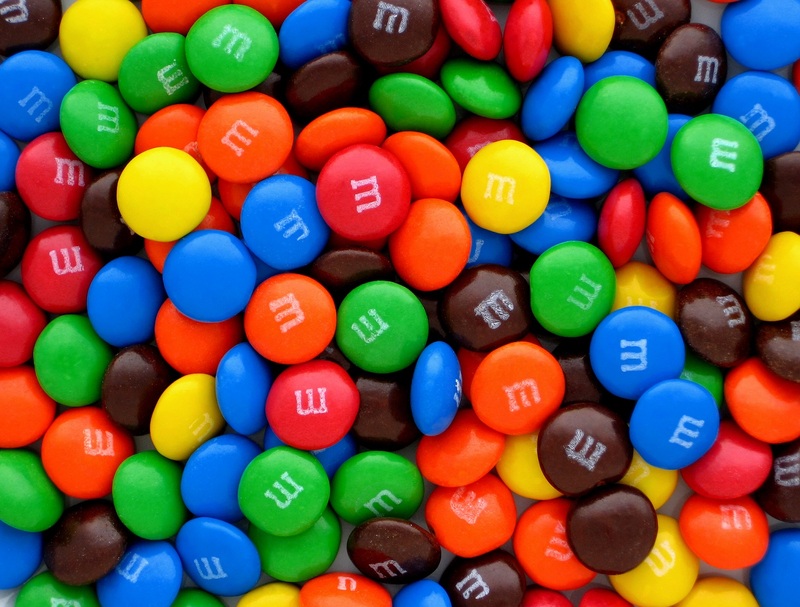 Update (30th August, 2015): A new M&Ms flavour has been added to the range, Pumpkin Spice Latte! Update (4th September, 2015): A new M&Ms flavour has been added to the range, Banana! Update (7th February, 2018): It’s been a while! A bunch of new M&Ms flavours have been added to the range! Do you like M&M’s?! What’s your favourite variety? Wish there were more flavours over here in the UK? Let us know! 12 American Cereal Recipes You Can Eat For Dessert! Yes I agree, we need more flavour’s on our shelve’s, not just the handful we have now.